Good day, stampers! Hope you are having a fabulous summer. Busy here…made this card on Monday and just getting on the computer to post it! The challenge this week over at http://global-design-project.com is a “case the designer.” I went looking for balloons and came up with these. It’s so funny where challenges lead us, I had never used this stamp before, but for some reason it just popped out at me. I love how challenges inspire and stretch us. The balloon image is from the 2013 Ronald McDonald “Tag It” stamp set, the background dots are from the Perpetual Birthday Calendar stamp set and the happy birthday sentiment is from the Teeny Tiny Wishes stamp set. 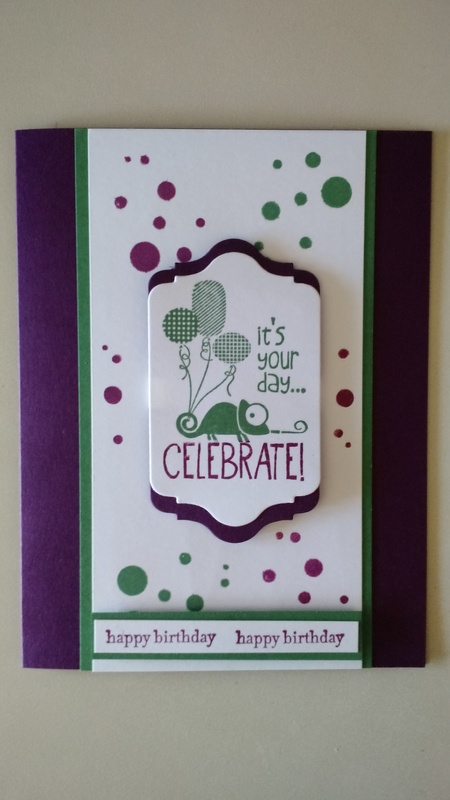 Cardstock and ink colors are Blackberry Bliss and Garden Green. Enjoy the remaining weeks of summer, Dawn. 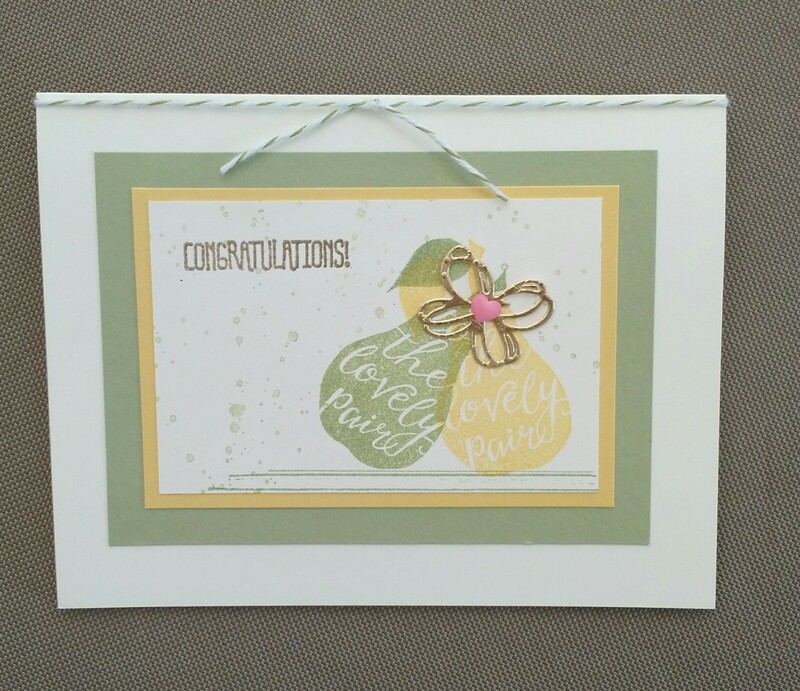 It’s a nautical theme over at http://global-design-project.com this week and I was inspired by my neighbor Whitney who came over to use the Acorny Thank You stamp set for a military parachuting card she had made. That gave me the idea to use the same sentiment, but with the anchor from The Open Sea stamp set. 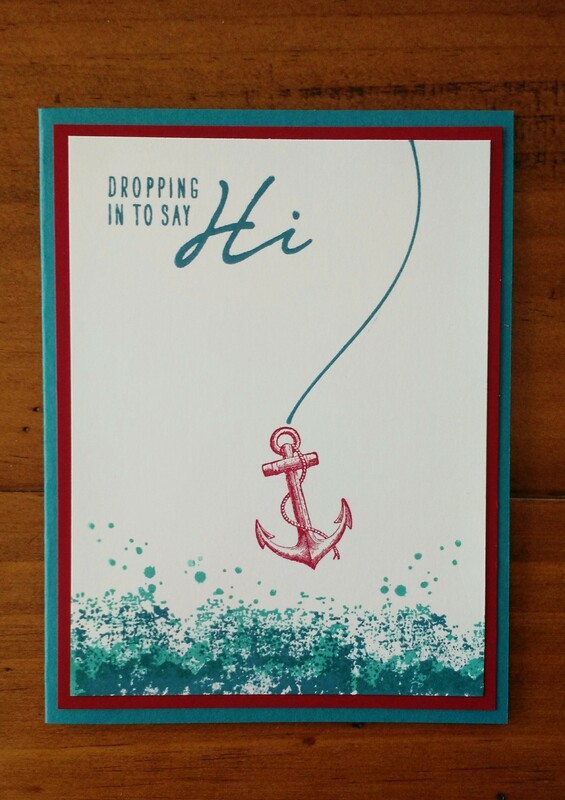 The anchor rope is made with the Party Pants stamp set and the water is made with the Timeless Textures stamp set (Island Indigo and Bermuda Bay Inks). 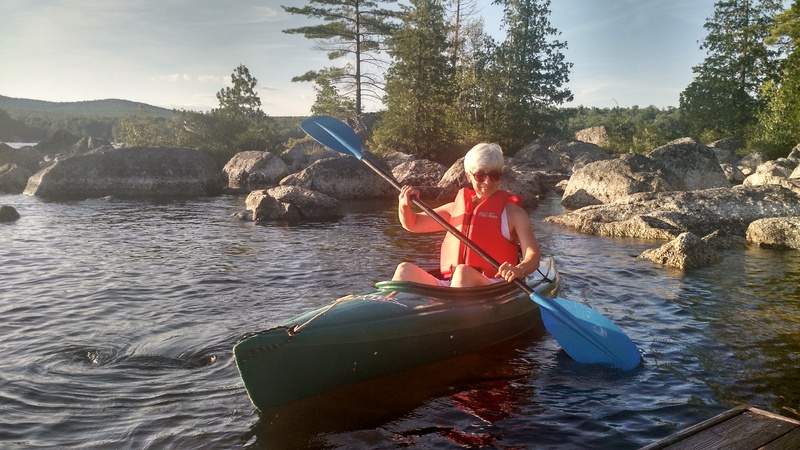 Hope you are enjoying some water days this summer! Cheers, Dawn.